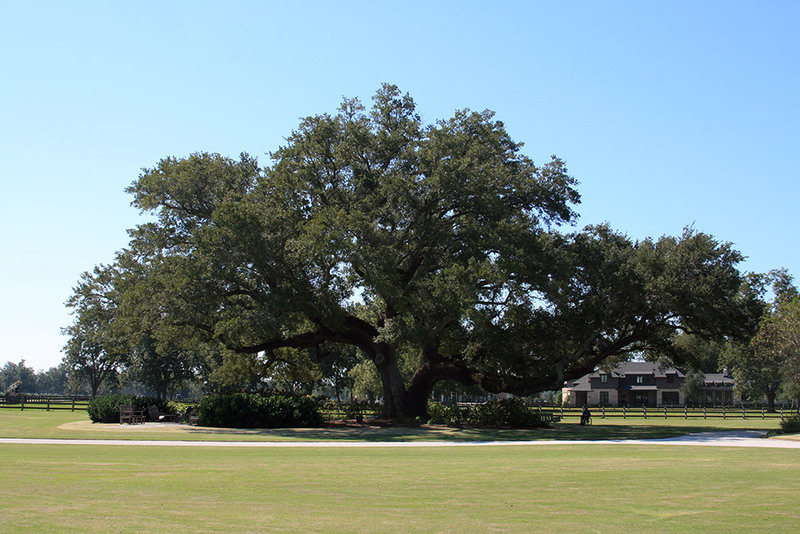 Our experts were contacted by the landscape architect and arborist assigned to the property with the goal of assessing and repairing a magnificent Southern Live Oak. The tree had clearly begun to separate; a steel bar (above the main union, between the two 4 ½ foot diameter leaders) installed decades ago had pulled apart in the center and the swing hanging from one of the boughs had dropped within 18 inches of the ground. 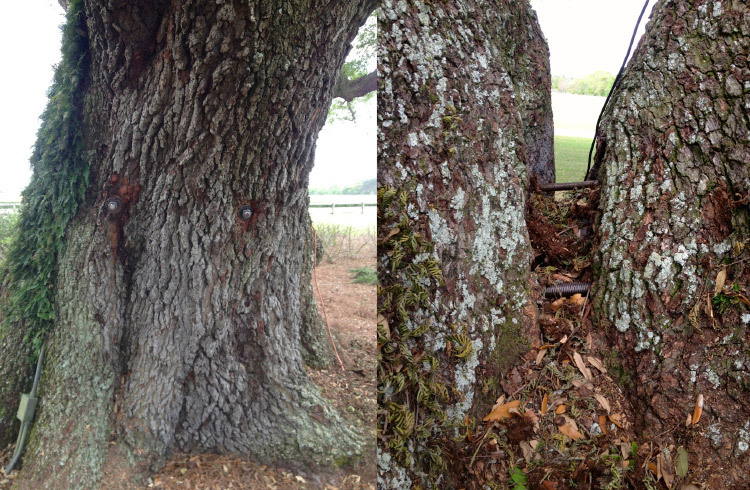 The tree, eight feet in diameter with a 143 foot branch spread, began to separate along the weak union between the two main portions of the trunk. After bringing the tree back into position, our corrective procedure required the installation of two high strength rods—10 feet in length and 1 1/8 inches in diameter—through the lower trunk. 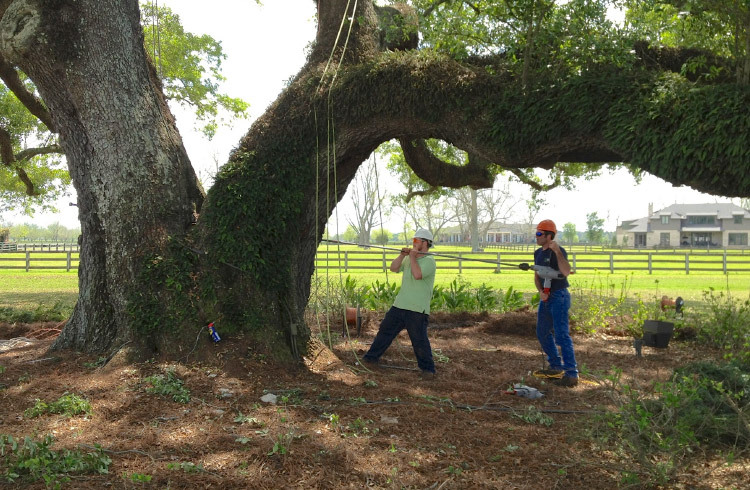 Using a ten foot long drill bit (of our own fabrication), the rods were inserted and over 500 feet of extra-high strength cable was installed in the crown of the tree in order to ensure stability over time. 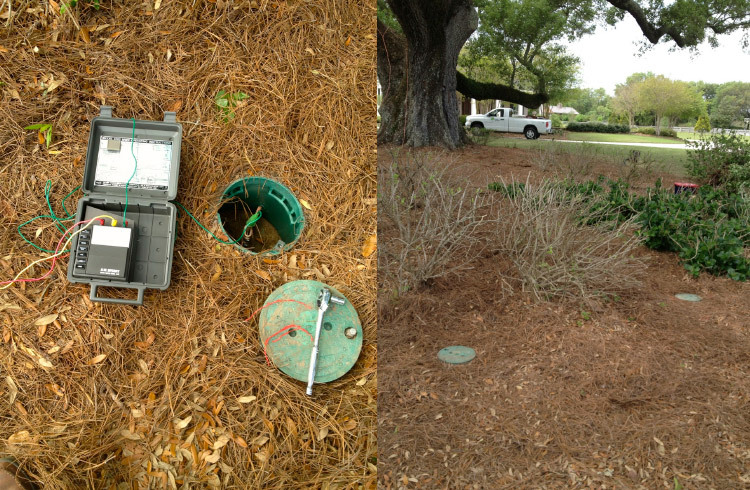 Finally, a 4-ground lightning protection system was installed, thereby grounding all of the hardware connected to the tree.